Corporate event planning is hard, let us do it for you. Celebrate for Good carefully curates the industry’s best event venues and vendors to elevate your corporate event to the next level. You use our event builder to calculate how much you’d like to spend on event elements (i.e. a private chef or a venue), we do all of the work behind the scenes and 5% goes to the charity of your choice. Your vision + our work = your company’s success! Trust falls and ropes courses are so yesterday. Our concierge event designers help to create a unique and engaging experience for your employees that also give back to local causes. More so now than ever, the new employee is looking to work for a company that constantly innovates and has a purpose — we help you accomplish both! No one wants to work at a company that is all work and no play! 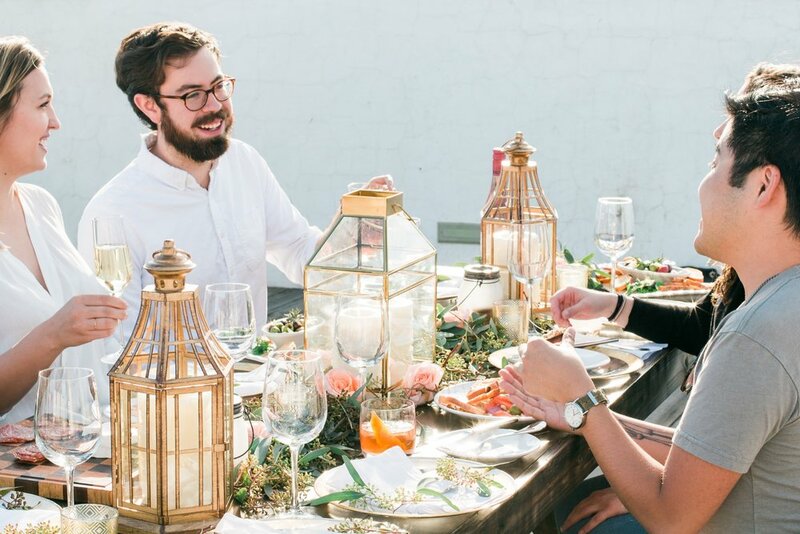 For thousands of years, people have been bonding over food, drinks and fun activities, we include all of them in each of our unique social events. Rooftop dinner party? Check. A live virtual reality experience to take your guests through? Check. A conference dine-around to fully immerse your attendees in the city you are hosting with? Check and check. The possibilities are endless! Every company has to have a company holiday party! However, that meat and cheese platter in the corner of the room isn’t going to cut it for your experiential driven employees anymore. That’s where we come in! 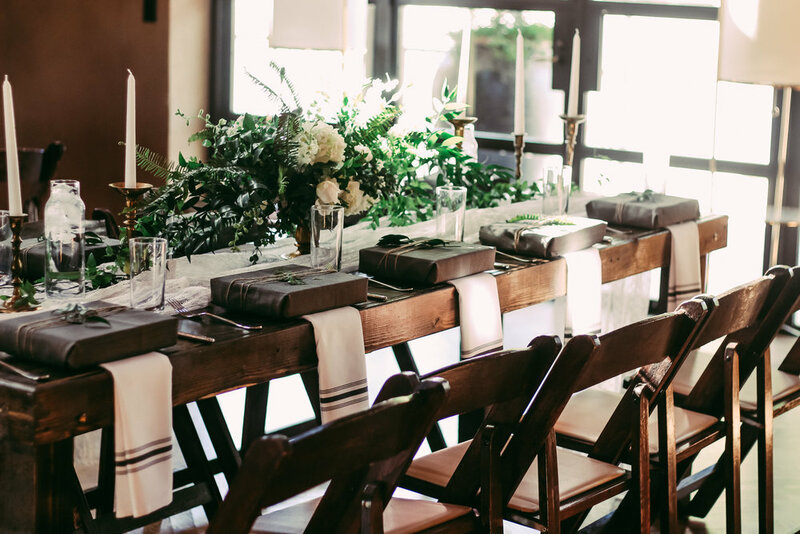 From hosting an intimate dinner in a historical home to a Great Gatsby speakeasy — our team is open to the challenge. We partner with local nonprofits in each of the cities we operate in. We aim to support causes that are solving root causes for bigger impact, from providing workforce training for homeless populations to breaking the cycle of child abuse via parent training tools. You can choose your own nonprofit or select one from our curated list of causes. Either way, we donate a percentage of our profits to the cause of your choice for each event, allowing you to party with purpose. We held a small dinner party for a team social outing of twenty to support Ben's Bells at Agustin Kitchen. This party with purpose included family-style fried chicken, corn bread with honey butter, and a spiked sweet tea to celebrate the southern, soul-fried theme. Sprawling florals were provided by the talented Best Buds Botanical and a total of $200 was raised for their cause of choice! Fill out the form below and one of our event experts will reach out shortly.